I’ve got some great money activities for kids you can use to get your child participating in household finances (without telling them your salary). Today, I want to talk about one method that will cover two of these three categories, and possibly even three. 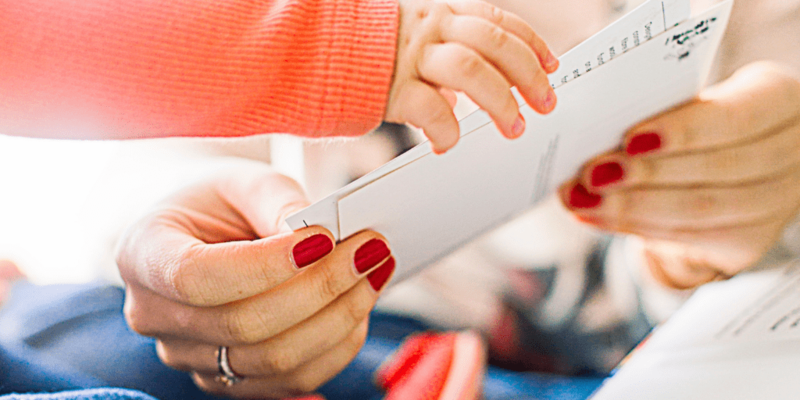 It’s letting your child participate in your household’s finances. And not just participate, but to contribute meaningfully to the money handling and managing in your house. The teaching money activities I'm about to share will be doing just that. 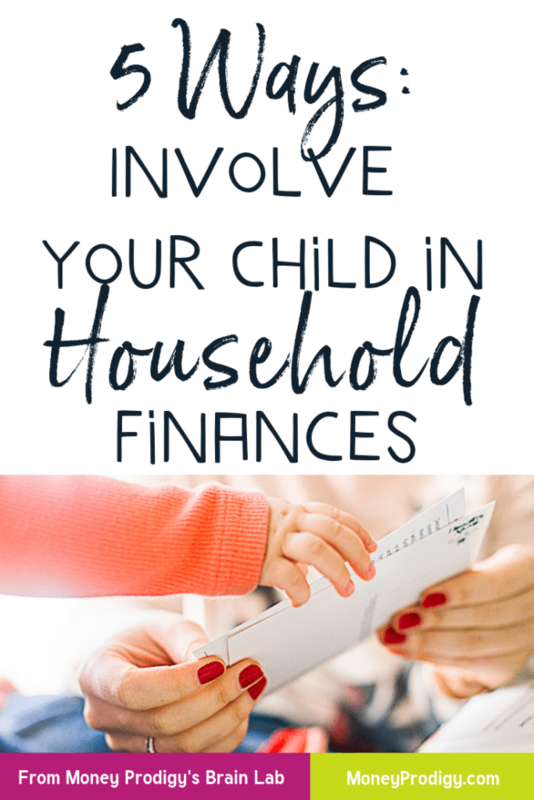 By involving your child in the household finances in meaningful ways – meaning in ways where their actions can have both positive and slightly negative consequences – you’re making the subject of money much easier to teach. Kids care more about something when they know that it’s not a dress rehearsal. When they know that what they do matters. And when they can see the results from their own decision-making. By involving your child in some of your household finances, you’ll both allow them to actually handle money, and model good money strategy to them (because you’ll be showing them what to do and how you do it in your household). And you know what? This process will very likely bring up a few natural money conversations, which covers Category #3 above as well. You don’t want to throw your child into the deep-end. 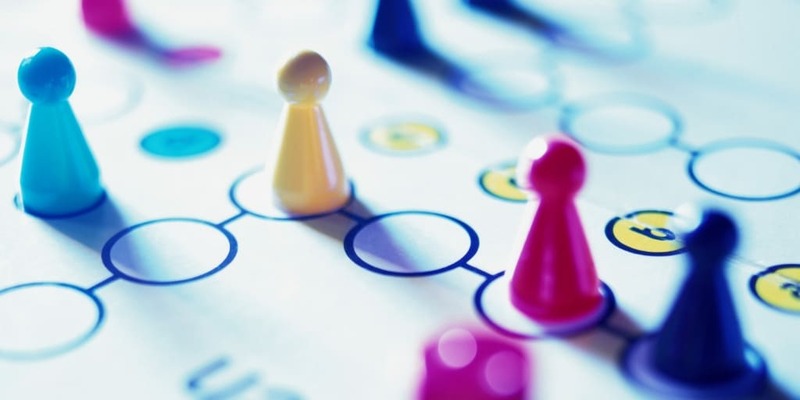 Chances are, you were thrown into the deep-end of managing your own finances once you moved out from your parents, and many mothers have told me that that didn’t go so well. Instead, you want to choose several money chores and money tasks your child can do to dip their toes into money management in your household. These are like warm-ups for one day when they’ll be in charge of managing their own household’s finances. Let me give you 5 ways you can meaningfully include your child in your household financial management. The next time you take your family out to eat in a sit-down setting, let one of your children tip the waitress. Of course, you’ll need to gear them up to the process, as they likely don’t know very much about it. Here’s an entire article about this teachable money moment. In a nutshell, you want to prep them for the experience with some key conversations, such as why we tip in the U.S., what you consider good service vs. bad service, whether you tip pre-tax or post-tax, etc. Once you do the prep with them, let them take control the next time you take your family out to dine in at a restaurant (provide as much oversight as you think is needed!). You likely donate some money throughout the year, either in a formal way (say, 10% of your earnings), or on an ad-hoc basis (say, when you hear the Salvation Army bells around the holidays or see someone asking for money on the street corner). Bring your child in on this act by allowing them to help you choose where part of the family’s money is going to go. Come up with an amount of money that you would like to give away to a cause. Decide if you want your child(ren) to have full discretion over where to donate all the money, or just part of the money. Perhaps it will be voted on by the whole family? Ask them what causes interest them. Include them in the research + brainstorming process. You’ll want to show them how to vet a charitable organization to make sure it’s a worthy one to funnel your hard-earned money through. Use a site like Charity Navigator to do this. I’ve got a list of 9 kid-friendly charities they can donate to (“kid-friendly” because a small amount of money – under $12 – does some good with a tangible outcome your kids can latch onto). Savings account interest rates are nowhere near what they were in my early 20s (a whole 5% back then!). Still, I was very eager to switch our account at the end of last year after learning that I could get an interest rate that was over DOUBLE what my current one was. Periodically, it makes sense to shop around to make sure that you’re getting close to the best savings account interest rate. You can show your child why they would want to do that (just put in an amount of money into this calculator, and show how much you’d earn at your current bank’s interest rate over the course of a year versus a higher one by adjusting the interest rate slider), as well as how to do the actual “shopping around”. This has got to be one of my favorite ways to get your kids involved in household finances. Did I mention it’s also a brilliant way to model good money strategy (even if you don’t know if you’re capable of doing so)? Invite your family into the process with a family meeting. Together, choose a savings goal that will benefit each person of the family in some way. Research how much this thing/experience/event will cost. Brainstorm where you guys will source the money from. Set up a visual savings tracker in a central location. Spend the money to actually purchase the family goal! Your kids will likely love these – wait for their eyes to light up! There are ways to source extra money from the things you already own, or from purchases you’ve already made. Scan Receipts into this App: The CoinOut App pays you for each receipt that gets scanned in (denominations are around $0.01 – $0.22). You won’t get rich, but it’s worth it to put your kids to work making the most out of household resources. Scrap Metal Cans: Your kids can be in charge of collecting all of your family’s scrap metal (cans, wire hangers, etc.) and organizing them to be taken to the scrap metal yard. Here’s an entire article about how to scrap metal for extra cash I wrote. Have you ever heard of a kill-a-watt (this is the one I own)? It’s a handy-dandy gadget that let’s you measure the electricity usage of any appliance around the house (anything with a normal-looking plug). They’re pretty fun – at least to money nerds such as myself (and probably your 10-year old). Anyway, you can get one, and let your kid plug in each appliance to see how much electricity it uses per hour. Once they figure that out, dig out an electricity bill, and see how much money you pay per kilowatt-hour (KWH). Now, have them multiply the two to figure out how much one hour of use for that appliance is costing the household. Here’s detailed instructions for how to do this. Your child can make a meaningful contribution to the household – something kiddos love – by being in charge of researching which gas station has the cheapest price. Help them sign onto GasBuddy.com and look the costs up. Let them do this once a week or once a month to see how gas prices have changed, and if another station is cheaper. Talk to them about how many miles away the gas station is, and if it’s an acceptable distance for the amount you’ll be saving.